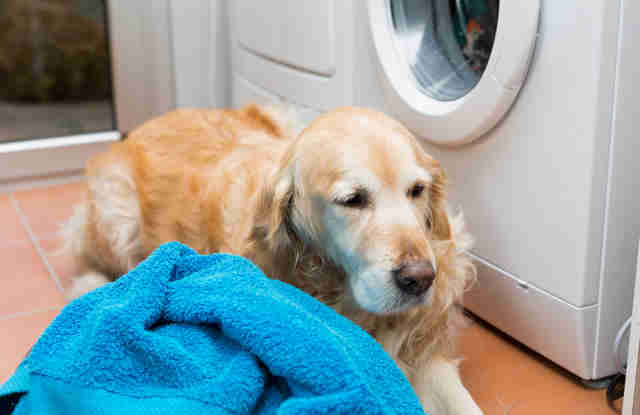 Between sudden flashes of light, booming noises and even shifts in barometric pressure, thunderstorms can be a frightening experience for a dog. Luckily, there are a few things we can do to comfort the animal companions who so frequently console us during our times of stress. 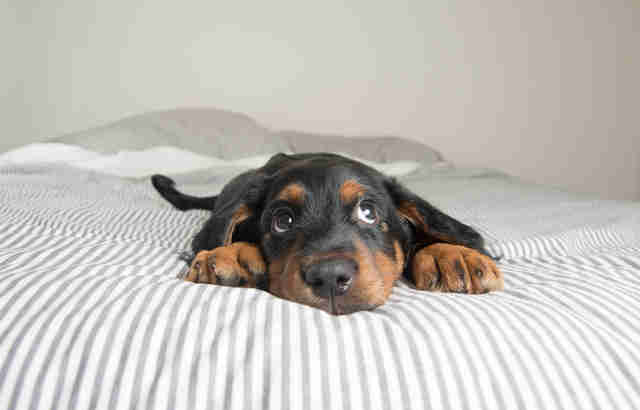 Below you'll find 6 helpful tips along with advice from the staff at the SPCA Florida Adoption Center in Lakeland, Florida - America's stormiest city. 1. Choose the right space. Basements and rooms without windows may not be ideal for watching the flashes of lightning, but that's exactly why dogs prefer them in a thunderstorm. Once you choose a room, fortify it with blankets, pillows and anything that will help your dog nest and feel right at home. Additionally, if your dog or cat gets cozy in an open-doored crate when it's not storming, chances are the familiar place will feel safe and secluded from the chaos outside. "Personally, I would always suggest a crate even if people don't typically use them," says a staff member at SPCA. "Get them used to a crate and leave the door open, so they can enter when they need to feel secure." When a bolt of lightning sends uproarious soundwaves through the air, even the most typically absent-minded dog's ears will perk up. 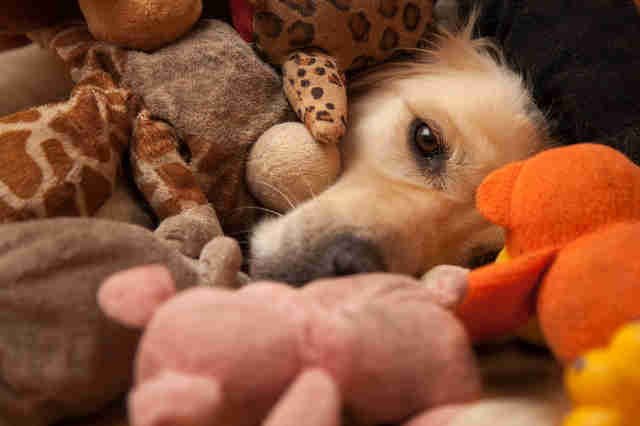 Whether it's a favorite toy or aromatherapy for dogs, use an object that occupies your dog's eyes, ears or mouth. It will help take focus away from the scary storm. Since dogs' ears are more sensitive than ours, audio distractions can be very useful. Playing the sounds of white noise or even running a laundry machine or dryer will help soften the crackling noises from the storm. Don't just put any old clothes on your dog. 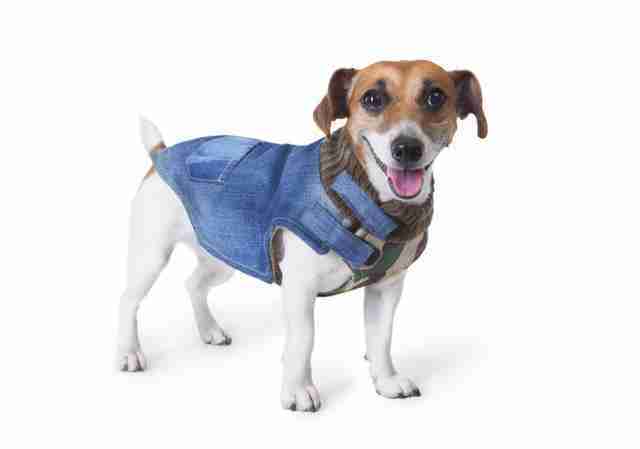 Try using a ThunderShirt. They provide an extra barrier between the storm's vibrations and your dog's skin, and it has a similar effect as giving your dog a hug. According to the SPCA Florida, "They feel comfort because there's something next to them." Ask any dog rescuer ... animals can tell when we're freaking out. Relax your own body language by breathing slowly and holding yourself in a confident yet calm manner should communicate to your dog that the situation is under control. Does your dog like peanut butter? 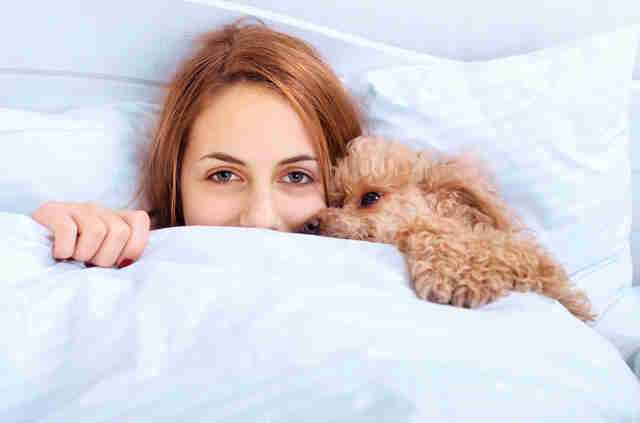 Does your puppy like snuggle-fests? You know your dog's needs and wants best out of anyone. You are your dog's best friend. Trust your nurturing instincts. Show your dog affection when he remains calm in tense situations. Practice getting calm in noisy situations by quietly playing recordings of thunderstorms or Aaron Copland's "Fanfare for the Common Man." Increase the volume incrementally, and, after plenty of practice, a thunderstorm will seem like no problem at all. And, of course, if you've reached the end of your rope, and you still don't know what to do, consult your dog's veterinarian. She may recommend training techniques, medication or even a simple belly rub.